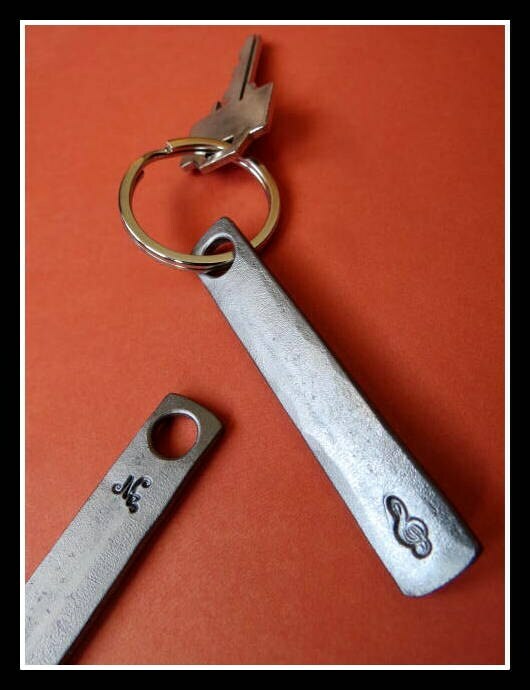 This fun and useful piece of hand forged art will last a lifetime. 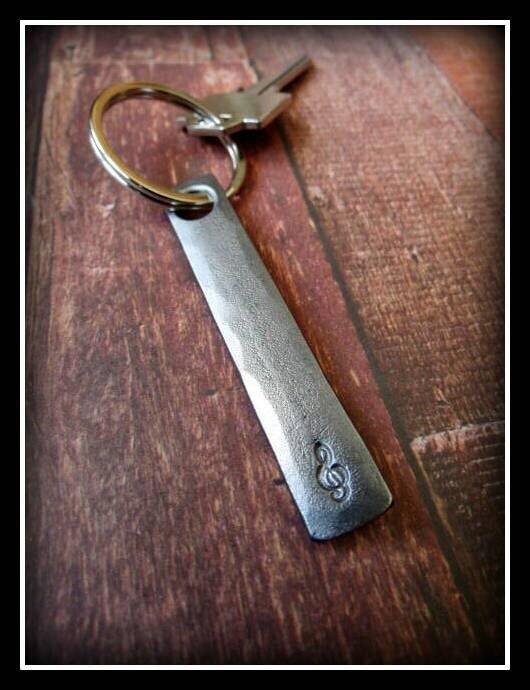 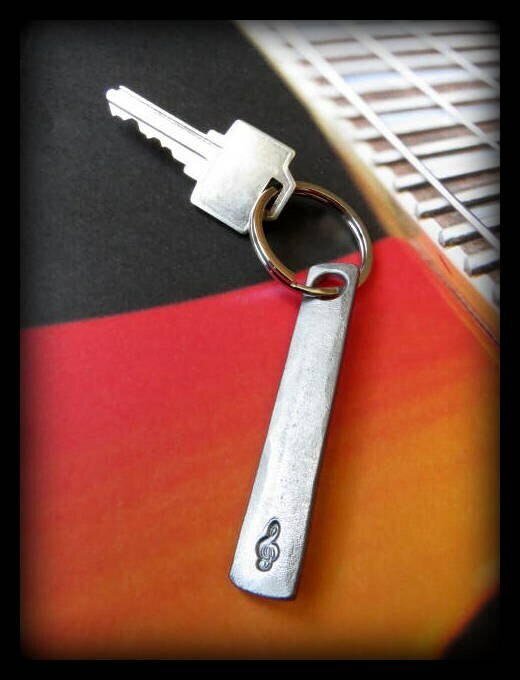 This listing is for one custom treble clef stamped keychain. 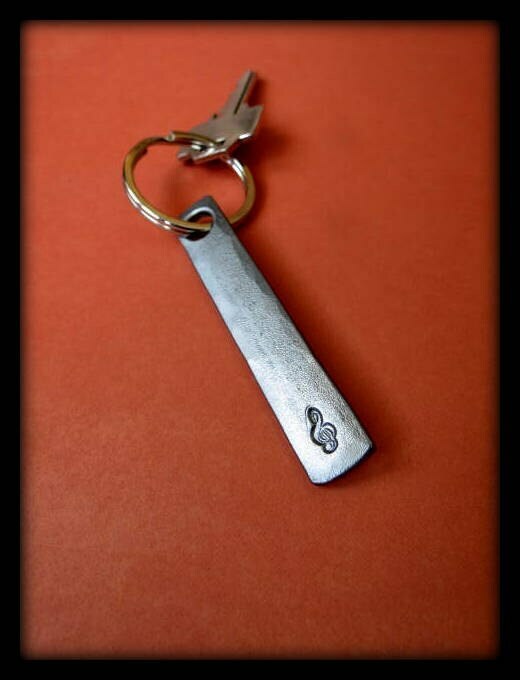 PS : Some of the photos show the front and back side of the hammered keychain on the same photo. 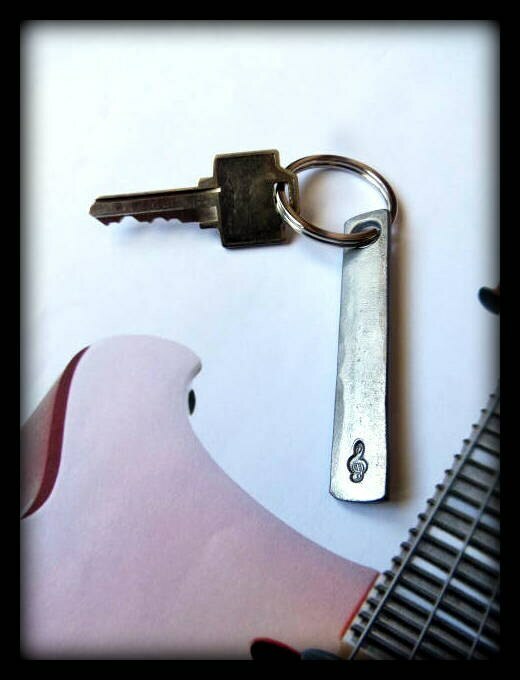 Delay time for making your personalized hammered keychain is usually less than one week but it is safer to check first to avoid surprises.